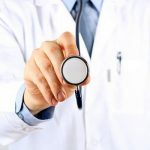 Frequent urination or Urinary Incontinence in men is a condition which sees a man needing to urinate more often than the average man, and he will often feel as though his bladder has not drained out completely. In other words, even though he may have just been to the bathroom to urinate, it will still feel as if he needs to pass some more urine, and yet when he tries, nothing comes out. Another indication of frequent urination in men is when they are no longer able to sleep through the night without having to get up to use the bathroom. In severe cases, some men will wake up several times each night simply because it’s impossible for them to sleep the feeling of urgency they experience. Research found 2 out of 3 men above age of 50 are facing this problem. Incontinence supplies fоr men are created to help absorb urine that is leaking from the urethra. 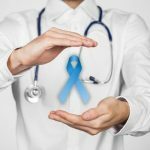 It is common for men to have urinary incontinence as it may be related to prostate health concerns. Treatment for frequent urination can also involve medications. Some drugs come in the form of tablets, while others come in the form of a patch. However, as long as drug are in used, it may cause others side effect. Think about controlling using a natural way? Consume less water before bed is not one of the solution. Blood circulation is important for proper body function. If you want all your organs to work properly, then good blood circulation is a must. Having poor circulation can cause many health issues like asthma, elevated blood pressure, anemia, and diabetes. 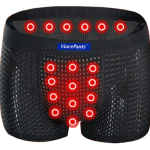 To improve on these blood circulation, Vincepants magnetic underwear can help for proper blood circulation in the body at the same time It can also help to prevent frequent urination in men who are affected by constant urination. Specially designed with strong magnetic force and tourmaline spot are help to increase blood circulation, anti-inflammation, release heat and pain relief. In the other word, change your underwear will improved your night urination problem naturally.